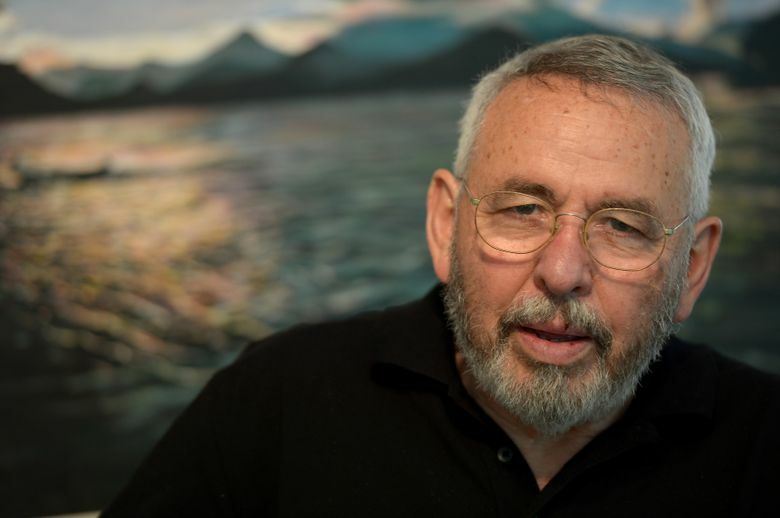 Tony Mendez in 2012. (Washington Post photo by Jonathan Newton). Pulling techniques from magicians, movie-makeup artists and even the television show "Mission: Impossible," he changed one person into another, transforming agents into characters to help them evade detection and capture in foreign countries. Mr. Mendez, a 25-year veteran of the spy agency, was effectively in the business of geopolitical theater. Pulling techniques from magicians, movie-makeup artists and even the television show “Mission: Impossible,” he changed one person into another, transforming agents into characters with back stories, costumes and documents that helped them evade detection and avoid capture in foreign countries. Mr. Mendez, who was portrayed by actor-director Ben Affleck in the film, was 78 when he died Saturday at an assisted-living center in Frederick, Maryland. He had Parkinson’s disease, said his wife, fellow CIA veteran Jonna Mendez. In the 444 days that followed, the hostage crisis drew unflagging news coverage, crippled Jimmy Carter’s presidency and resulted in the deaths of eight service members during a failed rescue mission in the Iranian desert. Mr. Mendez completed his rescue operation Jan. 28, 1980, but it took one more year before the last 52 hostages were released, on the day of Ronald Reagan’s inauguration in January 1981. The idea for the “Canadian caper,” as Mr. Mendez’s mission came to be known, was born out of desperation. A specialist in “exfiltration,” the art of whisking people out of harm’s way, Mr. Mendez initially worked on a plan to free the American hostages by exchanging them for a dead body double of the shah, who was being treated for cancer in the United States. That plan was nixed by the White House, according to a Wired magazine account by Joshuah Bearman, and when Mr. Mendez was promoted to chief of the agency’s Authentication Branch in December 1979, his efforts shifted to rescuing the six Canadian “houseguests,” as the American diplomats were euphemistically called. Their very existence was kept hidden from the public in an effort to protect them from the Iranians. Mr. Mendez called his friend John Chambers, a makeup artist who had won an honorary Oscar for his work on “Planet of the Apes,” gave Spock his pointy ears and had assisted the CIA on old assignments. With another makeup artist, Bob Sidell, who later worked on “E.T.,” they opened a production office in Los Angeles; created business cards for their fictional company, Studio Six Productions; and developed back stories and career histories for the six escapees. With a Canadian passport in hand, Mr. Mendez flew to Tehran on Jan. 25, under the name Kevin Costa Harkins. (He chose an Irish identity, he later said, because the Irish are “nonthreatening” and “ubiquitous around the world.”) Supported by a second CIA agent known as Julio, he spent a few days preparing the six diplomats, teaching them their new identities — including as a cameraman and set designer — and preparing them for potential interrogations at the airport. The diplomats returned to a heroes’ welcome in the United States, where Canadian flags were flown from town halls, and billboards reading “Thank you, Canada” cropped up around the country. Mr. Mendez met with Carter in the Oval Office and received the Intelligence Star, one of the CIA’s highest honors. But his and the CIA’s role in the rescue operation were concealed until 1997, when Mendez was honored as one of 50 “trailblazers” who shaped the agency’s first 50 years. The family had little money, and young Tony contributed by digging up bat guano in caves, loading it onto a toy wagon and selling it to his Mormon neighbors as fertilizer, $1 per gunny sack. He sometimes dated his covert-operations experience to an incident in which he posed as a girl to gain entrance to a couples-only school dance. Mr. Mendez graduated from high school in Denver and, unable to cover tuition, quit the University of Colorado after one year. He was an illustrator at Martin Marietta, drawing parts for an intercontinental ballistic missile, when he saw a help-wanted ad in a newspaper: “Artists to Work Overseas — U.S. Navy Civilians.” Consumed by wanderlust, he went to interview and was handed a CIA recruitment guide. Mr. Mendez’s first wife, Karen, died of lung cancer in 1986. In 1991, he married Jonna Hiestand, an expert on clandestine photography who also served as the CIA’s chief of disguise. In addition to his wife of Reston, Virginia, who confirmed his death, survivors include two children from his first marriage, Amanda Mendez of Smithsburg, Maryland, and sculptor Toby Mendez of Knoxville, Maryland; a son from his second marriage, Jesse Mendez of Charleston, West Virginia; several sisters; and two grandchildren. He was predeceased by a son from his first marriage, Ian Mendez. Makeup, Mr. Mendez often said, was typically one of the easier parts of developing a disguise. Behavioral tics needed to be adjusted, credible back stories invented.